In today's press briefing regarding the disappearance of Kerran, Jones and Detective Superintendent Marlon Bodden renewed their appeal to the public to help them fill in the movements of Kerran after she left Foster's Supermarket at around 7pm on Saturday evening. Jones said the police were certain she had gone home after that, as evidenced by the partially unpacked Foster's groceries found in her apartment in Bodden Town, but he said the police had no idea when she left her home again or why or how her white Honda Civic ended up several miles from her home. “There have been no confirmed sightings of her since 7pm on Saturday evening,” he said. “We have no idea when her car got to Pedro's,” he added. Jones said the discovery of the keys in the bush was of concern as it would be a "bizarre" thing for the owner to do. But he said there were no obvious signs of a struggle where the keys and the smear of blood has been found and until the forensic work was done they could not say who the blood belongs to. The police also appealed for a woman who is using the nickname Kerry-Berry on Twitter to come forward so police can eliminate that line of enquiry, but Jones stated that police were almost certain that this is not the missing woman, despite them sharing the same nick-name, since it is believed that Kerran uses BBM and FaceBook but not Twitter. Jones said that the police had followed several lines of enquiry but denied that there was any evidence that she had been involved in an altercation with another woman on Friday night or that any official restraining orders had been put in place with regard to anyone who may have been stalking Kerran. He said that conversations with many of Kerran's close friends, including people she was with on Friday, failed to reveal any problems on Friday night or any specific complaints she had made to the police. Again expressing their concern for the safety of the missing woman, Jones said that with the arrival of her parents the police now hoped they may be able to fill in some of the missing pieces of her life and open possible new lines of enquiry. Marlon Bodden confirmed that the suitcase found in the back of her car had been there for sometime and the speculation that it was old clothes that she was planning to give away appeared to be fairly accurate. The two officers said that while the searches at Pedro were now complete, they would continue searching if any further evidence suggested it was required but that officers were now focusing their efforts on talking with more of Kerran's friends and with her parents' recent arrival from Jamaica . Police offered their thanks to the 100 or more people who turned up to assist with the search last night, which they said was very orderly. Bodden noted that the police welcomed the efforts of the public but stressed the need for any searches to be conducted in an organised manner coordinated by the police in order to preserve evidence and ensure that it would be admissible in court if necessary. 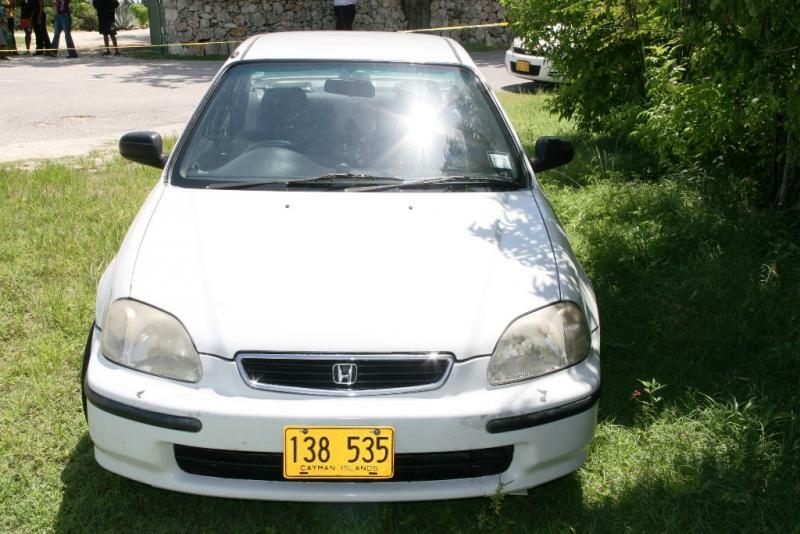 The officers appealed to public again to call the crime hotline 949-7777 with any information at all but were particularly keen for people to think if they had seen Kerran's car making its way between her home in Bodden Town and the place where it was found close to Pedro where a wedding party was going on that night. People we need to stop putting down the police officers because they are doing a great job. Stop the talking and help to find the young lady. Remember the rain was pouring so hard that night,people could hardly see where they were going. the person that did this did realy plan for her. But God is not sleeping my grandmother use to say what goes around must comes around. Let us pray God is able. This is just my own opinion I think women in the Cayman Islands should atleast be able to carry around and pocket knife and some pepper spray because its very well-known guns out are out of the question unless they have an license for thier gun(s). Because if we ever had to wait on the RCIPS to solve our own dissapearance then like what the old people would say we salt (meaning out of luck) because they hesitate on these kind of things we need American cops/detectives because lets face it caribbean people the law enforcements on our islands and other islands in the caribbean are slack (meaning they never complete their jobs/never perform their jobs like how the Americans never stop until someone is brought to justice and the case is solved) again that's just my personal opinion. I hope they do find Ms.Baker and that she is safe and sound and can return home to her family back home in Jamaica. And I do hope all hope isn't lost as to Mrs.Anna Evans please people also remember Mrs.Evans has five children who dearly love her and wishes their mom could be home with them as well so RCIPS don't give up on her either. On Tuesday the Police came out and set up a great search party and stay until everyone got tired and went home. On Wednesday I joined a group of people in the Red Bay area to search for Kerry around 6pm and not even one Police Office was on any of the search teams or even present. The search was later moved back to the Pedro area and agin no Police officer. I don't know what is going on but as a volunteer I feel a Police Office should be at least somewhere near by the search teams to keep everyone informed and to check off the areas already been search. I don't know Annie or Keery but I feel some hurt for their love ones and as a community we should all come out and do your part. Would you want people to look for YOU if YOU are missing would be my question. There's a whole bunch of shady people drifting around these islands. Someone left the door open. Mr Bush, care to comment? I hope and pray she is found alive!This is heart breaking, poor Kerry. All THis Crime is Causing us to lose our Country. Change out the Police as we use to in the Past with British Officers. Let us take back our country thus getting back our economy. I'm just trying to make sense out of this. 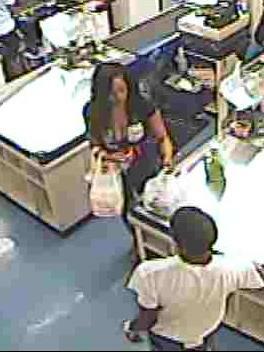 The Police say that they are unsure as yet as to if the keys did belongto Ms. Kerran Baker. Wouldnt the fastest and most sensable way to find out be by trying to unlock the car with the keys. And also lets think for a second, with all the CSI and Criminal Minds that come on tv. Is it so hard for them to usee the keys and check the trunk, I mean the keys were apparently thrown near the car. Police need to use there head and really investigate these incidents. CNS: Someone answered this in a previous comment. See here. Any honda civic key can work in every civic. It doesnt matter what year or type it can work for all. That's a proven fact! wow, who proved that? Einstein? The police detectives cant simply pick up the keys and immediately place them in the ignition. The first step is to try to obtain evidential information from the keys such as trying for prints or retrieval of any DNA or other biological material. Simply picking up the keys and handling them, and then placing in the ignition, could dislodge and/or contaminate any evidential matter. Obviously when keys are found that seem to suggest they were from a Honda vehicle, the police detectives very highly suspect that they are from the nearby car and they can reasonbly go on that assumption and proceed on that basis. However, they need to absolutely ensure that they obtain whatever trace evidence may be possible from an object that was likely handled by the victim and/or perpatrator. Stop laying amatuer criticism in areas that you dont understand. Its not helpful, and simply serves to incite negative attitudes towards the large group of detectives and constables that are pouing there heart and sweat into tyring to find Ms. Baker. Its so frustrating to read some of these posts. This and other comments confirm that many people live in the make believe world of TV's CSI and cannot be bothered to think things through themselves to a proper conclusion. It doesn't take much extra thought to realise why procedures have to be followed and if it doesn't happen within the 'hour' that TV allows there is a reason for it. Let the police do their jobs and try not to jump on the bandwagon of immediate criticism at every piece of developing news, although I suppose 'freedom of speech (armchair criticism)' is acceptable sport on this forum. And have you noticed how all CSI's are solved in an hour, even allowing for adverts. Oh such a perfect world! Am I really interpreting the actions of the police in Ms. Dixon disappearance correctly – in other words are they truly recognizing the value of the public in working towards solving crimes. The word “truly” is used because in the past many times the police withheld information about crimes until the trail was cold, they did not handle witnesses or volunteers with any care, they viewed the press with disdain – e.g. no information on the weekends, did not follow up with communication to people who gave them information on crimes, they were careless in handling public relations. This change is welcomed and is for the better. We really need a police “service” not a “force”, even in handling the worst of offenders it must be done professionally with fairness and truthfulness at all times. Rehabilitation begins with the arrest and investigation, criminals may not love the police but if they are treated fairly then it puts the reason for their problems back on them, making them realize that only they (the criminal) can change their ways and better their lives. Police do not give criminals any more reason to hate society. You will gain the much needed respect of all, law abiders and law violators, be true and fair at all times. Best wishes for a successful investigation with the assistance of the public to find out what happened to this young lady. The police did not search the entire area ON MONDAY after they found the car!!!!!!!!!!!!!!!!!!!!!!!!!!! Crazy. What if it had rained ? The entire police force should have been combing the island since Monday. Why this evidence was not found on Monday, but only during search party?What did the police do all that time ? Any articles of clothing in her car or at her house and use those scent dogs. oh, and just take the keys and try it in her car!!! …and rub any trace evidence or fingerprints off those keys? Not a good idea. First process the keys for evidentiary value. What I don't understand is supposively a few of the dogs that were brought in to cayman for the RCIPS are tracking dogs…well unfortunately the dogs are as good as the police force "useless". They should have found the articles if the area was searched properly on Monday. Scary huh, when the search was conducted by the public they were found. Wasn't Sabrina and Estrella found by other then the police?? Also wasn't there a program the other month on someone here having a search and rescue dog? People here talk to much garbage and want the general public to think they have a product and they don't. I call it it false advertisement on the indiviudal who claimed he had a search and rescue dog and false advertisement on the police on having tracker dogs. Another ignorant comment. Yes they are tracking dogs that were trained for to pick up live sent. But how strong do you think a dogs nose is? If she left her car and went some place else, would you expect the dog to track the car down in which she left in. Why is it so easy for people in Cayman to tote news about other people's business but when its important, when it matters, everyone is silent? This young woman has been missing since Saturday, on an island this small no one has seen something when in Cayman someone always sees something??!!! Comeon Cayman be accountable when it matters, the gentleman that was shot in the face near the gas station in Red Bay lost his eye during that robbery and Ms. Meddie had to be air lifted, and no one knows anything! Speak up people! It would seem to me that when Kerran was not heard from and discovered missing from her home and under suspicious circumstances that the next step the friends and Police would have taken would be to ask the public to help them locate her car. Her car was seen by several persons from as early as Sunday morning and possibly earlier but no one knew it belonged to a missing person until Monday and then it was late Tuesday before blood and what could be the keys to the car were found nearby. If the public had beeen alerted to keep an eye out for this car it would have been discovered the same day she was reported missing and searches of the land and sea in that area could have started with many peoole being off work who would have happily volunteered on land and sea to search for evidence and or her body. I'm hoping my faith in the Police will one day be restored but ……..it is so far not looking promising and I do try to give credit where credit is due, hovever I have resolved myslef to continue praying for a miracle for Kerran and her family. Come on. There was nothing so unusual so as to require an large scale effort until 24 hours had passed. There are good reasons for the customary need for that much time – otherwise the police would be warning the public every time someone stays over with a friend after a break-up or a crack-head goes on a binge. That would vastly increase the number of police alerts and this would de-sensitise the public to the whole process. How quickly can they get a match for DNA? Are they using other forensic mechanisms to look for more blood that cannot be seen by the eye, as it was raining that weekend? Please keep us informed police. Getting a DNA match requires obtaining a sample and having something to compare it to. The amount of time required to process a biological sample for trace DNA evidence depends, in part, on the type of material recovered. Red blood cells, the major component of blood, do not contain a nucleus and thus do not contain the DNA that would typically be tested for. White blood cells, a much smaller component of a blood sample, do containg a nucleus and thus the DNA that wold be tested for. A blood smear will contain very small amounts of DNA. A forensic technique of DNA amplification liekly would be required (essentially making copies of the DNA that is present) until a sufficient quantity can be generated for further testing. Amplification can take a few days, depending upon initial sample size. Then comes the various means of testing for comparison. There are different techniques that could be used, from RFLP analysis to an old fashioned Southern Blot. Sample preparation and analysis times can take several days. All of that gets you information about a DNA sample taken from a piece of evidence. You must simultaneously process known samples for comparison purposes. Otherwise all you have is some mildly interesting data with nothing to compare it to. Unlike CSI-style television crime dramas, proper forensic DNA analysis can take a couple weeks. If a lab is backed up with case work then it could take longer. There is no magic machine which takes a sample in a brings up a photo an individual within an hour. Real science doesn't work that way. Wait….Why are they JUST finding the keys and blood now? Didn’t the police search the area “thoroughly” already??? I wonder why they found the blood yesterday with all the rain we had on Saturday wouldn't be washed away. With all the searching they have done why were the keys found only yesterday??? Injured perpatrator(s) may have went to the hospital or to a cctv monitored pharmacy to buy something to treat a wound. That's if there was a struggle and the dna of the blood, doesn't match Kerran's. One of the most annoying traits on CNS is the know-it-all "I have watched CSI" comments stating the absolutely obvious. These just clog up the boards and have no value whatsoever. It seems like it should be pretty easy to determine if they were her car keys, since they have her car…. I tell ya…hands down our RCIP are smarter than a 5th grader. NOTE SARCASM! I wish they would make the sacrifice and bring in investigators from the US, UK or even her native Jamaica to try to solve this. They can't do that because all you get is moaning about "Expat police"
The majority of our police force are expats. And that comment comes from where? What evidence you have to suggest that, except the BS you pull from the sky. Another ignorant comment. People are constantly bashing police, but what are you doing to help support this country? I use to be a cop here, and i the struggles they face, so lighten up. Oh plz..Jamaican has enough unsolved mysteries of their own. That's the problem with the R.C.I.P.S now-too many ENGLISH MAN!! Back in the days when the R.C.I.P.S was filtrated and manged by local and Caribbean officers, there was a lot less crimes and when crime did occur, the detection rate was at the highest!!!! Check it out!!!! Smh!!! Bout you English Man!!!!! LOL…………….LOL………………LOL……………..
Not so easy. The keys may have finger oil and other DNA traces on it that needs to be analyzed before they go trying to use the keys in her car. No that takes millions of dollars of research. Where's Dr Shetty when we need him. Even when I heard it it did not sound right. Aaah is the keys hers? Aaah car. Aaah open door. Aaah maybe try to start. Aaahh house keys…okay. Drive to house….Attempt to use…..How far away is the house South Africa? Sounds like this piece of evidence should have been resolved very quickly. I also like the dogs thing. Make them smell the clothes and let them loose and see where they go….if they go back to keys area…..uuuum might not need forensics. They might lead you somewhere else also. Who knows.